BASSETT, VA - Bassett Furniture sales rose 5% (Nasdaq:BSET) first quarter, reflecting the general improvement in the consumer economy. Wood furniture sales declined, but wholesale furniture sales jumped 17% to stores outside Bassett's own network of 90 shops. On a consolidated basis, the Company reported net sales for the second quarter of 2014 of $85.2 million as compared to $81.2 million for the second quarter of 2013, an increase of $4.0 million or 4.9%. Operating income for the quarter increased $0.5 million to $3.9 million, or 4.6% of sales, primarily due to improved gross margins, partially offset by $0.5 million of higher new store related losses (both pre- and post-opening). The Company reported net income of $2.6 million or $0.24 per diluted share for the second quarter of 2014 compared to net income of $2.0 million or $0.18 per diluted share in the second quarter of 2013. "Wholesale shipments to customers outside of our store network and sales from new Bassett store locations were the primary drivers behind the 4.9% increase in consolidated revenue recorded during the second quarter of fiscal 2014," commented Robert H. Spilman Jr., President and Chief Executive Officer. "Our ongoing efforts to grow open market sales continue to pay off while we are in the midst of targeted expansion and repositioning of the Bassett Home Furnishings store network. We believe that significant growth opportunities remain in both channels as we further penetrate non-store geography and strategically grow our dedicated store distribution. Further, the 15% increase in operating income achieved in the quarter came despite bearing the costs associated with an abnormally active period of new store development. Building on the past three years of retail comparable store sales growth, we are excited about expanding our footprint beyond the 60 corporate and 34 licensee-owned stores that were in operation at the end of May. We also look forward to continued improvement in profitability as we move ahead with lower levels of new store opening expenses. "Our balance sheet remains solid as the Company ended the quarter with $16.9 million of cash, $23.1 million of investments, and $2.3 million of mortgage debt," continued Spilman. 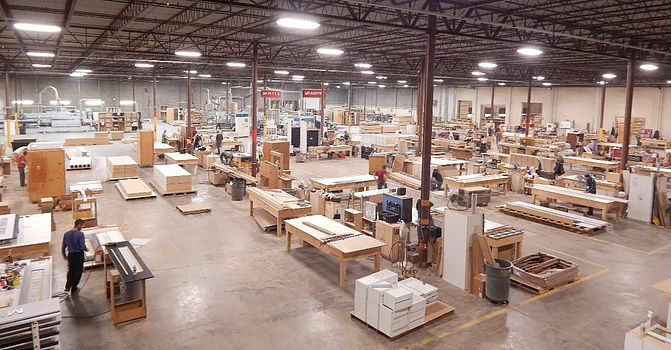 "During the first half of 2014, we generated $13.8 million of operating cash, received $2.3 million from the final installment of our 2011 sale of the International Home Furnishings Center, invested $12.2 million in our retail and manufacturing operations, paid $3.5 million in dividends to shareholders, and repurchased $2.9 million of the Company's common stock. We will continue to appraise the allocation of the Company's capital regarding the balance between growth, dividend policy and repurchase of stock. At quarter's end, $8.7 million remained authorized under the existing stock repurchase plan." Net sales for the wholesale segment were $56.2 million for the second quarter of 2014 as compared to $53.9 million for the second quarter of 2013, an increase of $2.3 million or 4.3%. Wholesale shipments to the open market (outside the Bassett Home Furnishings store network) increased 17% and shipments to the Bassett Home Furnishings store network decreased by 4.0% compared to the prior year quarter. The Company continues to gain market share in the traditional furniture store channel as recent product offerings have been well received. Sales to the Bassett Home Furnishings store network have continued to be negatively impacted by slower business during the winter months from inclement weather along with overall softness in the demand for wood furniture. Gross margins for the wholesale segment were 33.9% for the second quarter of 2014 as compared to 32.6% for the second quarter of 2013. This increase was primarily due to improved margins in the upholstery operations with higher sales volumes providing greater leverage of fixed costs and higher wood margins due to less discounting of discontinued products. Wholesale SG&A increased $0.1 million to $14.8 million for the second quarter of 2014 as compared to $14.7 million for the second quarter of 2013. SG&A as a percentage of sales decreased to 26.3% as compared to 27.3% for the second quarter of 2013 due primarily to greater leverage of fixed costs from higher sales volumes coupled with tighter expense control. Operating income was $4.3 million or 7.6% of sales as compared to $2.8 million or 5.2% of sales in the prior year quarter. "Upholstery division sales once again produced strong growth," continued Spilman. "Building on the trend for the past several quarters, upholstery sales grew by 8.1%. All of the increase was generated by products made in our domestic facilities, which continue to grow profitability as we leverage our fixed costs with higher levels of production. Last fall, we introduced the Bassett Express upholstery program designed to take market share in the open market and these products have begun to gain traction at retail. And, of course, our HGTV Design Studio assortment continues to perform well in the BHF store network as we promote the products and our custom capabilities on the HGTV national cable network. "Our wood division experienced an overall sales decline of 3.1% despite strong growth in our domestic casual dining sales," added Spilman. "The expansion of our Martinsville, Virginia dining facility was completed in the second quarter and production is now underway. Our work schedules at the operation have been much more favorable this year which has allowed us to be more profitable. Imported wood casegoods sales have been challenged thus far in 2014 with the exception of our juvenile products. 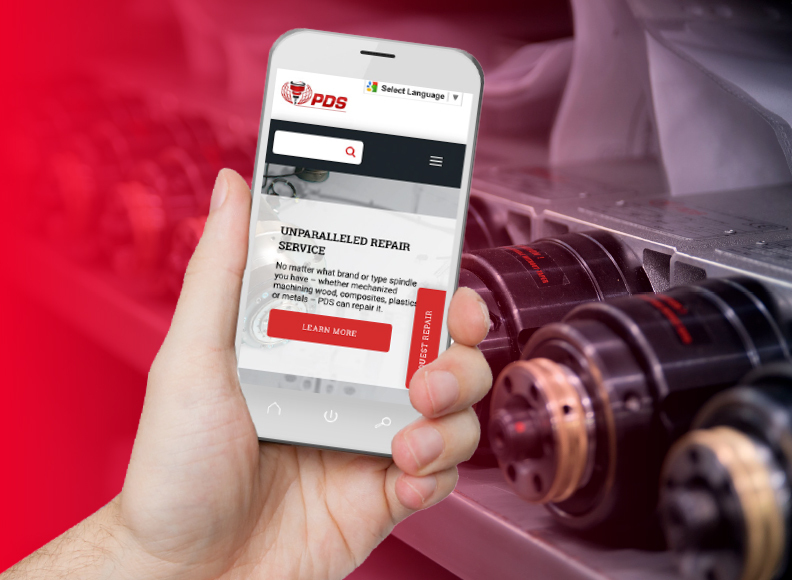 We continue to explore new products while monitoring our import inventory to provide high levels of service and to limit exposure to obsolescence. And, despite the ups and downs of the wood segment in the industry, we were able to modestly grow overall wood division profitability in the second quarter." Net sales for the 60 Company-owned stores were $53.3 million for the second quarter of 2014 as compared to $51.5 million for the second quarter of 2013, an increase of $1.8 million or 3.5%. The increase was primarily due to higher non-comparable store sales as a result of opening 7 new stores in the last 12 months. Comparable store sales were essentially flat for the quarter. While the Company does not recognize sales until goods are delivered to the consumer, management tracks written sales (the retail dollar value of sales orders taken, rather than delivered) as a key store performance indicator. Written sales for comparable stores increased by 1.8% for the second quarter of 2014 as compared to the second quarter of 2013. The consolidated retail operating loss for the second quarter of 2014 was $0.7 million, compared to income of $0.3 million in the second quarter of 2013. The 53 comparable stores generated operating income of $0.1 million for the quarter, or 0.3% of comparable store sales, as compared to $0.4 million or 0.8% of comparable store sales for the prior year quarter. Gross margins for comparable stores improved to 49.5% compared to 47.5% in the prior year quarter due primarily to improved pricing strategies implemented late in 2013. SG&A expenses for comparable stores increased $1.3 million to $24.5 million or 49.2% of sales as compared to 46.7% of sales for the second quarter of 2013. This increase is primarily due to planned increases in advertising, higher health care benefit costs and increased other overhead costs as the store network continues to grow. In addition, the Company incurred $0.2 million of overlapping rent incurred while two stores were in the process of being relocated. As with new store openings as described below, the Company begins to recognize rent expense at the date the Company takes possession of the store location. The Company will effectively recognize rent expense on both locations until the date that the previously existing store closes. The Company completed a relocation in Little Rock, Arkansas during the quarter and is in the process of relocating a store in Boston, Massachusetts which will be completed in the third quarter of 2014. The Company defines a store relocation as the closing of one store and opening of another store in the same market. Since there is no change in the store count for a specific market, the Company continues to include relocation costs as part of the comparable store operations. Losses from the non-comparable stores were $0.8 million which include $0.5 million of pre-opening costs incurred for the Hartsdale, New York store which opened during the second quarter and for the Rockville, Maryland store to open during the third quarter. These costs generally range between $0.1 million to $0.3 million per store, depending on the overall rent costs for the location and the length of time between when the Company takes physical possession of the store and when the store opens. Also included in the non-comparable store loss is $0.2 million in post-opening losses from the new stores in Hartsdale, New York, Westport, Connecticut and Burlington, Massachusetts. The Company incurs losses in the two to three months following a store opening as sales are not recognized until the furniture is delivered to its customers, resulting in operating expenses without the offset from normal sales volume. Because the Company does not maintain a stock of retail inventory that would result in quick delivery, and because of the custom nature of the furniture offerings, such deliveries are generally not made until 30 days after the furniture is ordered by the customer. The remaining four non-comparable stores generated an operating loss of $0.1 million for the second quarter of 2014. "As a result of the improved performance of our corporate retail fleet over the past three years, we embarked on a more aggressive expansion plan into new markets beginning in late 2013," said Spilman. "At the same time, we have continued to reposition or close underperforming stores with expiring leases. While this activity has resulted in added costs and therefore impacted our earnings in the short term, we believe that this is an investment in our future which should produce meaningful returns to our business and shareholders in the long term. Furthermore, although the pace of new openings and the repositioning of certain stores will slow somewhat from what we have experienced so far this year, we will continue to add new stores and thus will continue to incur costs associated with these openings. However, the impact to our earnings should decline as our store base becomes larger and we are better positioned to absorb these costs by leveraging the revenues that those new stores will produce. With four stores remaining to be opened this year, we are focused on their successful integration into our network as we navigate through the seasonally slow third quarter." Subsequent to the second quarter of 2014, the Company entered into an agreement to sell a retail store property located in Denver, Colorado to the existing licensee operating that store.